Personal Strength - What Makes You Feel Strong? 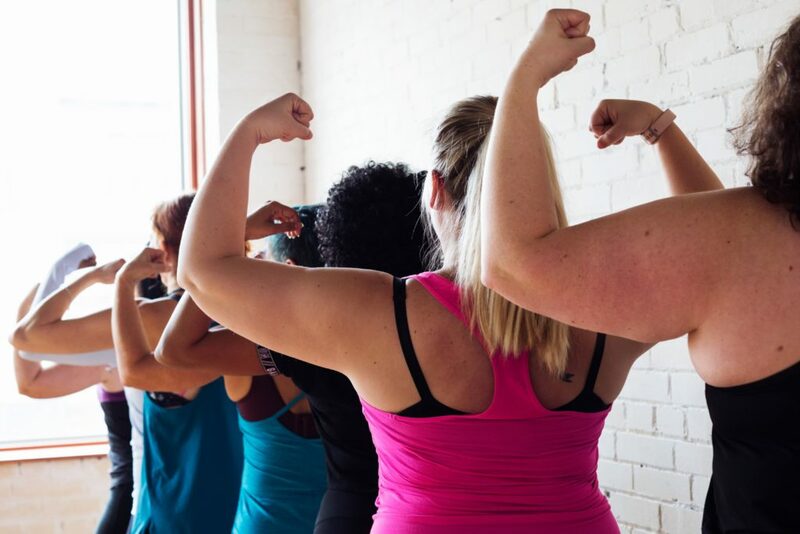 Personal Strength: What Makes You Feel Strong? What feeds your personal strength? There are some things we do each day, week, month, that make us feel better about ourselves than others. Have you found a career that focuses on your strengths? What makes you feel strong, confident, and successful? 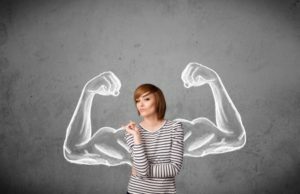 How can you turn those strengths into a successful career? In the article How to Figure Out What You’re Good At – Not Just Passionate About, author Whitney Johnson asks four questions to help you consider what career path you should really pursue. The one question that resonated with me was about your personal strength: what makes you feel strong? As you think through your work day, are you consistently doing things that increase your personal strength, tasks that make you feel confident or have you found yourself drowning in those projects that make you question your value? 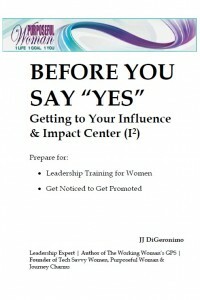 A couple of years ago, I put together a workbook, Before You Say Yes, that helps you focus on your Influence and Impact Center or the I2. 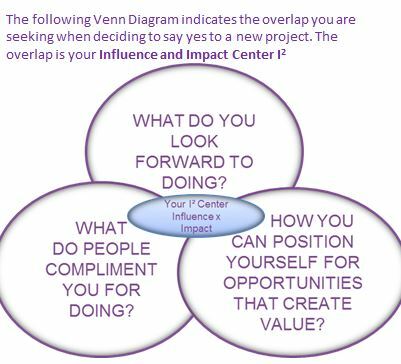 In the workbook, I guide the reader through a series of questions that helps them think through the jobs, projects, non-profits or committees they participate in or are considering to help hone in on what lines up with your ability to have influence and impact. In other words, what makes you feel strong and confident and gives you meaning. I developed a Venn diagram that helps think about three areas of your life to find that “sweet spot” or your I2. There is no shortage of jobs that need to be done and problems to be solved, but there’s only one of you. Once you’ve homed in on your underlying assets or your core strengths, you can more easily identify your distinctive strengths — what you do well that others in your workplace do not. If you’re looking to be successful, look for problems you feel especially passionate about, then get to work, by playing to your distinctive strengths. “There is only one you.” That is so true. 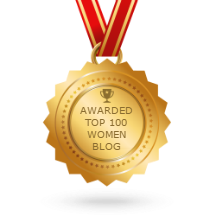 As women in business, we tend to forget that there are others that may be better suited to a job; even if that means they do it differently. We need to focus our efforts on what we are best at doing, those jobs that make us feel strong and purposeful. What does that look like for you? What jobs do you look forward to doing? Are you doing that now? You may have been in the technology field for a long time but if you are no longer feeling like you are contributing, perhaps it is time for a change. Or maybe it is time to seek new heights in your career. If you have had an opportunity to lead a special task force and found great strength from that leadership role then it is time to seek opportunities for more permanent ways to lead. Ask yourself some of these tough questions, examine your current career. Is there a missing link? It may be time to do something about it.